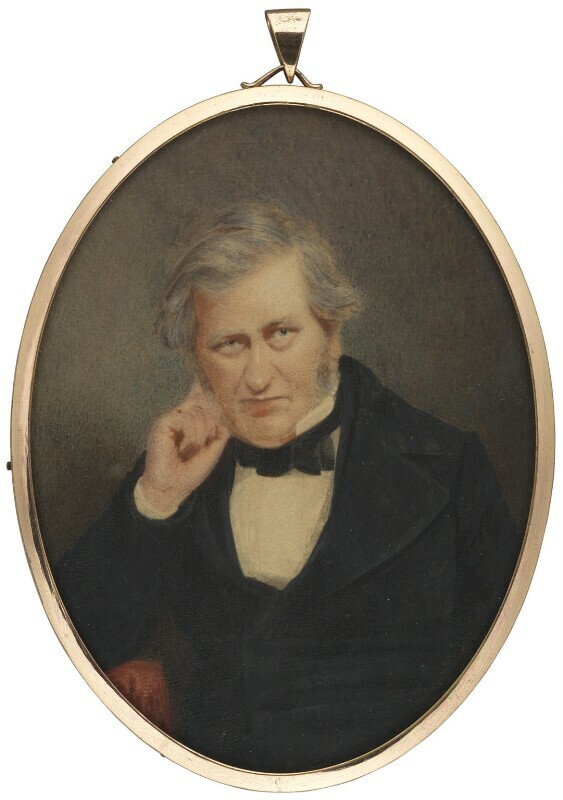 According to Arthur à Beckett (letter of 13 February 1904, NPG archives), the miniature was painted by Couzens in 1855. Basil Long, British Miniaturists (1929), p 105. Brown eyes, grey hair. Dressed in a white shirt, black neck-tie and black coat. Elbow resting on red table. Greenish background colour. The sitter, presented by his son, Arthur à Beckett, 1904.